A pleasant background fragrance will immediately enhance the image of your workplace, from your reception and boardroom to the washrooms and offices, leaving a lasting first impression. Unpleasant smells caused by kitchens, body odour, nappy changing areas, and washrooms, can result in a bad impression which users tend to associate with poor hygiene. We offer a variety of aircare solutions for both large and small areas. 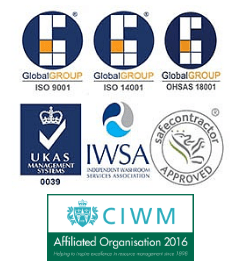 We can help you choose the best system tailored to your environment. XLAIR is an attractive, versatile, and affordable option for fragrancing large and challenging spaces up to 3500sqft. 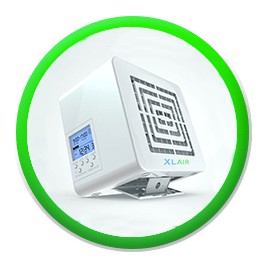 XLAIR technology is based on a Hi-tech Smart Fan which disseminates dry essential oils for an uplifting aroma. Featuring a customisable fragrance system so you can create multiple scents, combating nose fatigue. 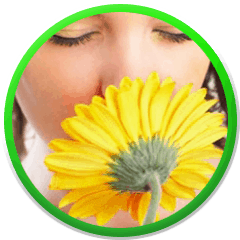 Automatic modern fragrance delivery provides constant freshness. The stylish units are programmable to suit your business requirements. The innovative ‘Intensity burst feature’ increases fragrance output at high traffic times. Aerosols are collected, degassed, and all metals and plastics recycled. Aerosols are collected, degassed and all metals and plastics recycled. 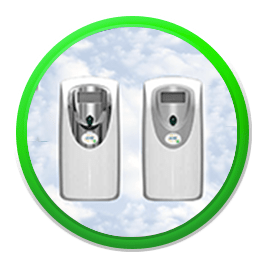 If you’re looking for a way to reduce your environmental impact and meet sustainability targets, Eco ‘V’ Air could be the answer. This innovative continuous fragrance system creates an environment that is fresh all day, every day by dispersing uplifting fragrances through air movement. This is a non-aerosol system with no butane or gas. Enrich your environment with Omniscent, a fragrance delivery system designed for interior spaces up to 500 cubic metres. This unobtrusive system is hard-working, perfect for large areas where constant performance is required. Omniscent is CFC-free and all refills are 100% biodegradable. AHS Prozone provides a natural solution for unpleasant organic odours and airborne micro-organisms. A safe, continuous method, working throughout the day, Prozone destroys up to 99.5% of micro-organisms reducing cross-infection. Tackling the root cause of the bad odour and producing a breath of fresh air.